Yes, Whole Foods will be offering deals, too. Get ready, get set, go Amazon shoppers: Prime Day starts on July 16, and will run for 36 hours. 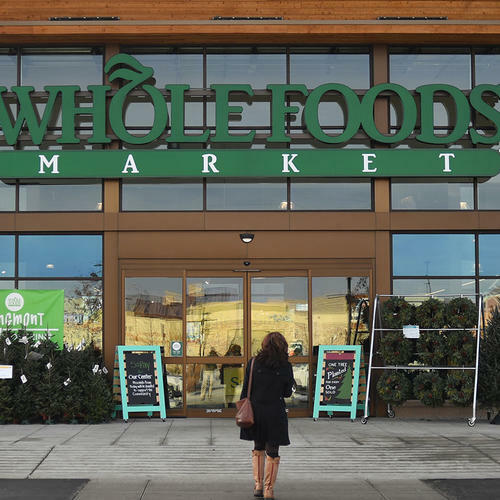 Whole Foods is getting in on the action too, with Prime Day discounts and deals available at every U.S. location of the grocery store. Here’s what else we know about the epic shopping event. This year, Prime Day—Amazon’s annual sales event, which began in 2015 and is only open to Prime members—is offering around 1 million deals as well as 50 percent more Spotlight Deals, including discounts on all Alex-enabled devices like FireTV and the Echo Show ($100 off for Prime members), which is actually surprisingly useful in the kitchen. Usually, Prime Day only lasts for 30 hours, but this year Amazon extended the event for 6 additional hours. In addition to the discounted Echo Show, products from AmazonBasics, including kitchen and travel, will be 20 percent off, while housewares from the brand Solimo (where you’ll be able to find garbage bags, coffee, hand soap, and oatmeal) will be 30 percent off. Over at Whole Foods, customers will enjoy another 10 percent off already discounted sale items. Plenty of new products will also launch on Amazon on Prime Day, including an Alexa-enabled kitchen faucet, the new Bai Braspberry flavor (in honor of Justin Timberlake of course), and a new Coleman portable propane grill. Amazon is celebrating Prime Day with a series of pop-up events in major cities around the world. So-called “smile boxes” will arrive in New York City, Los Angeles, London, Tokyo, and Milan to reveal an event that highlights the best Prime Day deals. For instance, according to USA Today, New York City might enjoy a concert, while Los Angeles could play host to a video-gaming event. While a select number of Prime members are expected to be invited to the events, anyone can watch the Prime “unboxing” events live on Amazon’s website.